Although technology can be credited with many of the most significant advancements over the last century — consider gene editing, artificial intelligence and machine learning, and the vast capabilities of cloud computing, for example — its leaps forward have not come without drawbacks. A more interconnected world means that information can be shared more easily, both for better and for worse. Rampant cybercrime is proof enough of the dark side of technological progress. At the same time, technological advancements have worked to improve the safety and efficiency of our increasingly interconnected world. We’ve incorporated better online illegal activity monitoring to reduce human trafficking and generated big data that helps companies glean insights and create better products. We’ve built smart technology that helps individuals monitor their health outside their doctor’s office and instituted better agricultural management to increase the world’s food supply. And now technology is beginning to provide citizens with new means by which to monitor and better communicate potentially dangerous situations. Negotiating a safety situation with tech tools at the ready is an exciting next step in creating a safer society. Emergency responders are only as good as the information provided to them. Without accurate data about the location of the emergency or the situation at hand, citizen safety is difficult to ensure. Multi-access edge computing (MEC) is a new way of operating in the cloud, shifting cloud computing functions closer to the user. 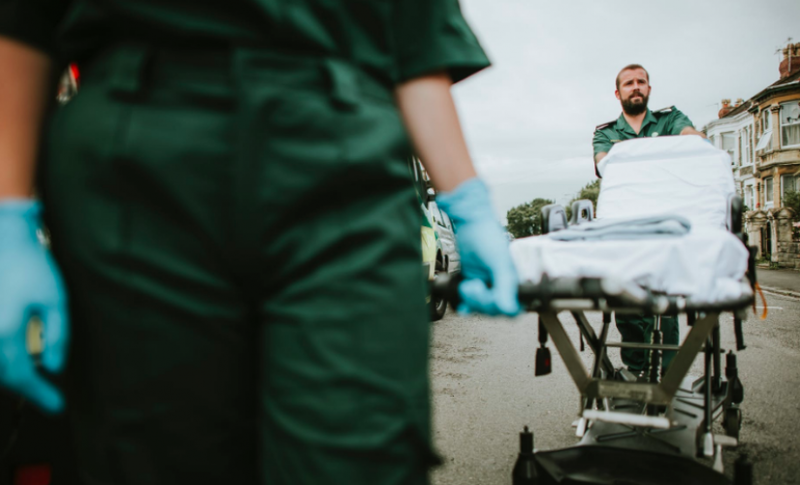 MEC and 5G are incredibly important in the public safety realm, as first responders require speedy and seamless communication and instant feedback. These technologies tout speeds 10 times faster than 4G, real-time analytics, video surveillance, and facial and image recognition. This type of edge computing, paired with artificial intelligence, allows for real-time responses to safety issues at the scene. Making visual assessments, sounding alarms, setting off safety systems, and locking doors can all happen well before first responders physically arrive. Tech innovations are also beginning to address that gray area between actual 911 calls and potentially unsafe situations. Many crimes such as stalking, break-ins, or domestic abuse cases aren’t clear dangers until it’s too late to call for help. Phone apps can help first responders target exact locations and connect with users who can’t otherwise make a call. New technologies like Noonlight’s connected safety platform enable users to notify responders when they feel unsafe. They can then either execute or cancel the request for help with the push of a button. Universities and cities also benefit from the big data aspects of such technologies, gaining a better sense of when and where people feel unsafe and focusing safety efforts on trouble areas. This type of technology is also useful in cases where victims are physically unable to call for help. For example, this past fall, Noonlight added an “automatic crash detection and response” feature that detects changes in a user’s location, motion, and force. The platform can detect crashes in cars, bikes, and scooters and automatically alert 911 to come to a victim’s aid. For those working in hazardous environments, wearable tech can help measure levels of dangerous gas emissions or unsafe behavior that puts workers at risk. In 2017, Parsons Corp., a tech-centered defense, security, and infrastructure firm, began using a radio-frequency identification fob attached to the vests or hard hats of its workers to monitor worker-machine interactions. This technology helped the firm measure how close workers were getting to the equipment and to established safety baselines, ultimately reducing life-threatening events and near-misses between employees and machines. Companies like Honeywell and Intel are also joining the cause by building “connected worker” safety solutions. These include wearable sensors to help monitor posture, heart rate, toxic gas exposure, and more. This data helps maintain health and safety among industrial workers, firefighters, first responders, and other high-risk workforces. Danger doesn’t always come in the form of external forces; sometimes it’s what’s inside that threatens a person. In those cases, wearable tech helps to ensure safety by monitoring health indicators and providing accurate patient data to healthcare workers. Wearables are all the rage on the technological frontier, and for good reason. Many serious health conditions can finally be managed through less invasive and more efficient means than before. The KardiaBand, for instance, monitors heart rhythm and provides an on-the-go electrocardiogram test. The band, worn as an Apple Watch strap, alerts its user when it detects an irregular heartbeat indicative of atrial fibrillation. For patients at risk of sudden cardiac arrest, this wearable solution replaces the bulky defibrillator vest. It supplies monthly reports and reduces unnecessary trips to the emergency room with instant analysis. Technology is becoming a game changer in the public safety arena, a development that hinges on our ability to communicate seamlessly. MEC and 5G, smartphone safety apps, IoT sensors, and wearables are just a few of the innovative ways that tech is contributing to safer lives and a safer society. I’m a freelance writer and mother living in the Bay Area. I write about parenting, tech, gadgets, and am absolutely thrilled that my work allows me to be there raising my children.